I have bloged about this family before. See it here! And last weekend I stopped by their house and I could not keep my self from taking some more pictures. 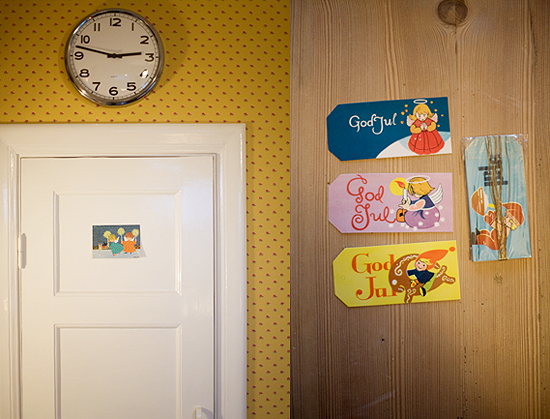 Kicki is great at finding quirky fun stuff to put in her house and her Christamas decorating looks so fun and quite modern. 1. 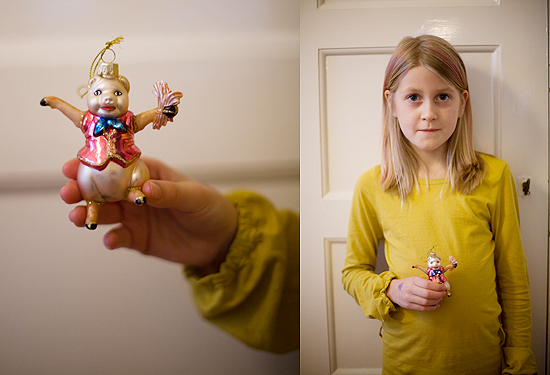 Daughter Vera with kitschy tree ornament from Rusta. 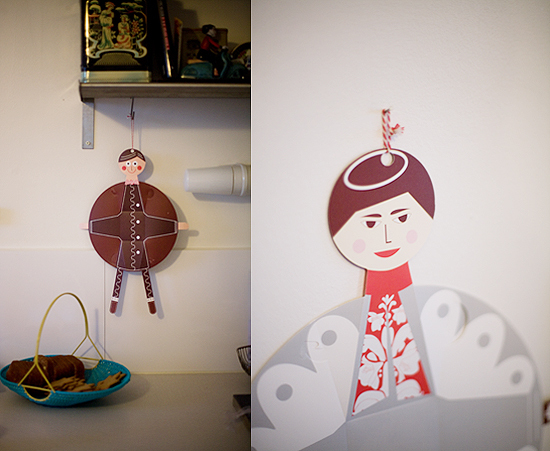 2.Vintage Holiday postcards hung “here and there ” And Vintage gift tags that Kicki hangs in the tree. 3. 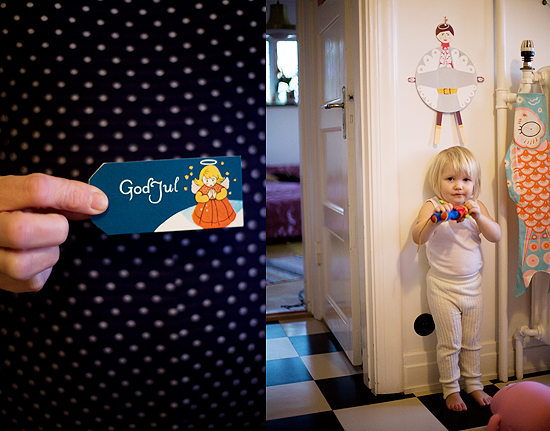 God Jul and Irma in the kitchen after our photo shoot. 4. Kicki bought Santa somewhere at Möllan, in Malmö, Kicki can´t remember in what store. 5. Gingerbreadman and Angel are from Basander Lundin. “Decor icons” they fold into a small bowl. Buy them at Juniform. Visit Kickis own store here! I agree Kay! I love it to. Den gula tapeten med de röda prickarna är underbar. oh! lovely! love those vintage cards. 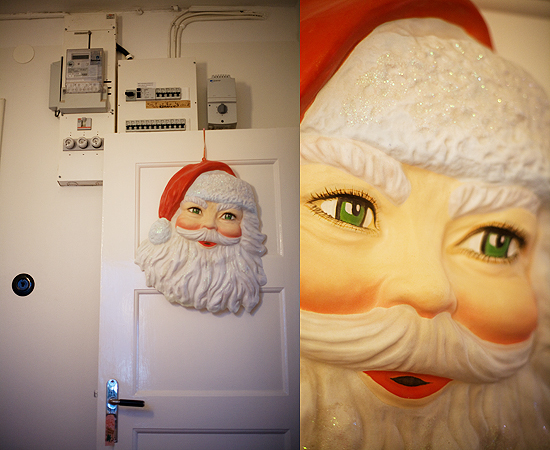 and the santa with the kindly eyes. The santa mask is awsome.. looks like something from a 50’ties flick!